For more than 80 years, Boys & Girls Clubs of the Los Angeles Harbor (BGCLAH) has been serving the families in the communities of San Pedro and Wilmington. We are the largest Boys & Girls Club in Los Angeles County and serve more youth in the South Bay than any other organization! 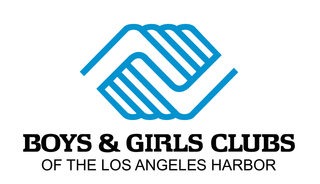 This year we are proud to announce, BGCLAH has entered into an agreement with the Boys & Girls Clubs of the South Bay. Beginning on January 1, 2019, we will serve more than 2,400+ youth at 18 Club sites and LAUSD schools daily. This is an exciting time for our organization and one when we need your support more than ever before! You can help us by becoming a member of BGCLAH’s Corporate Partner Program. Your financial commitment goes directly to program support and provides access for all our youth members. You will become an educated advocate of BGCLAH through the Corporate Partner Program’s “Communicate, Engage, Learn and Support” Benefits; tour our Club and school sites; plan an employee volunteer day; marvel at our students during their Arts Academy Showcase; applaud them at their College Bound Celebration; and meet other corporate supports, like yourself, at our Bids for Kids Annual Benefit. On behalf of the thousands of families who rely on the Boys & Girls Clubs of the Los Angeles Harbor each year, thank you for your consideration and support.